Are Pinterest Food Pics Making You Fat? You already know that Facebook and Twitter are making you fat. Now comes bad news for those who drool over Pinterest food boards: Seeing fattening-food pictures triggers appetite and may be contributing to the obesity epidemic. 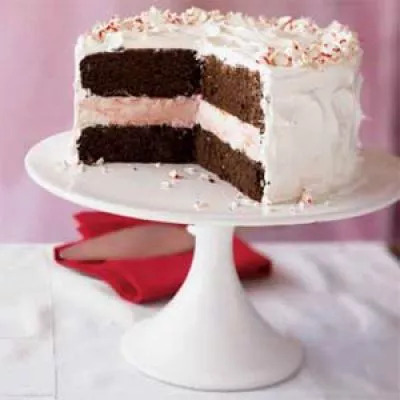 Looking at images of high-calorie foods stimulates the brain's appetite control center and makes subjects more likely to reach for real life versions, according to a study by Kathleen Page, MD, assistant professor at the University of Southern California, Los Angeles. The finding was presented at The Endocrine Society's 94th Annual Meeting in Houston. Using MRI imaging, the researchers measured the brains of 13 obese Hispanic women looking at images of high-calorie foods, such as cake and ice cream, versus healthy foods like vegetables, as well as non-food images. Simply viewing high-calorie food images activated brain regions that control appetite and reward; the non-food pics did not. Viewing pictures of high-calorie foods also goosed the participants feelings of hunger and their cravings for sweet and savory foods, Page said. Can Foodie Shows Trigger Weight Gain?